Your life is unfolding quickly in front of your eyes. 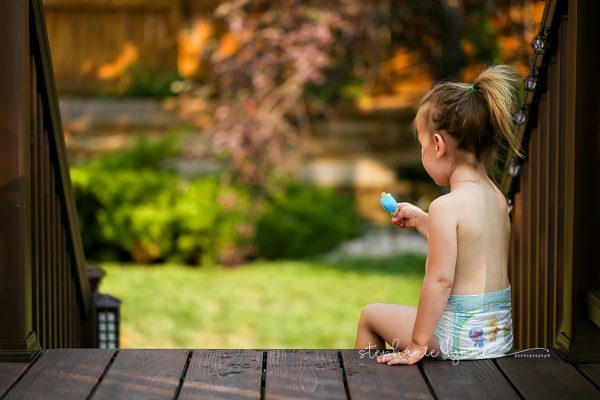 Whether it is your baby that is learning to crawl and growing up too fast, your school aged child that is mastering a hobby of her own, your beautiful garden blooming, or your pets that are losing their puppy look far too quickly. Pull out your camera, start clicking and embrace those moments that seem too mundane to capture. As photographers (hobbyist or professionals) we want to capture life as it happens in the most beautiful way possible. Use these 7 secrets to start seeing the beauty in your seemingly boring everyday life, and capture those memories that make your family and life unique. Sure, the “Golden Hour” provides photographers with gorgeous lighting, but search for other beautiful light that helps tell the story when you are shooting indoors or outside of the golden hour. Figure out what kind of story you want to tell and use light accordingly. Some great kinds of light to look for is sidelight, back light from a window, artificial lighting (tablet shining, flashlight, etc). Be sure to tell the full story by capturing the details. 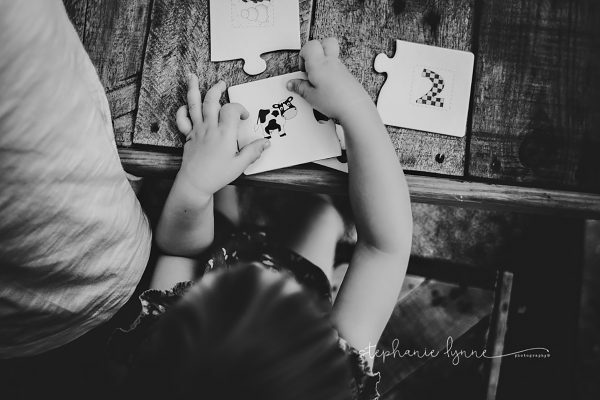 Their tiny fingers wrapped around yours, their long eyelashes, their favorite toy, the book they are reading. There are so many details that make up a story, be sure to capture the whole story with wide-angle shots as well as the details. 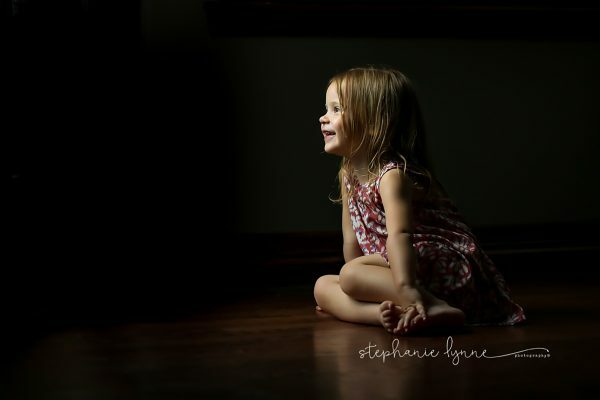 I tend to use the rule of thirds and leading lines a lot when capturing every day photos of my kids. The rule of thirds is simple. 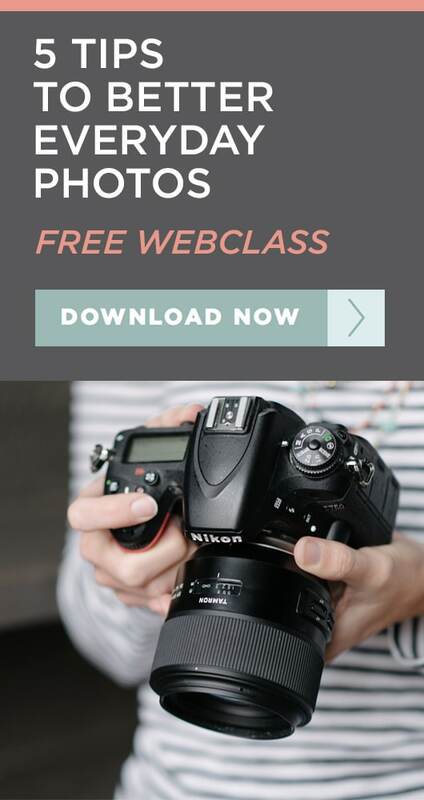 Imagine your photo as a grid Shoot your photos with your subject in one third of the image. In horizontal photos make the focus of the picture on either the right or left third of the photo. In vertical pictures make your focus in either the bottom or top third. When shooting leading lines you can find inspiration everywhere. Some examples of leading lines can be stairs, fences, roads, bridges, shorelines, etc. Lines are everywhere! Be creative and find ways to incorporate those lines to draw attention to your focal point. I absolutely love shooting from above. I think it gives a whole new perspective and tells the story differently then if you were shooting from straight on. I particular love this angle when capturing my kiddos doing something they love, like reading, painting, playing cards, etc. It is all part of capturing the details. 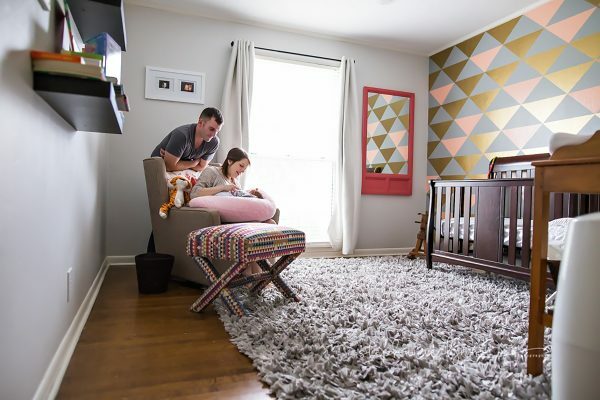 If you are a birth or lifestyle shoot this angle is particularly lovely when you capture a photo from above of the new mom with her baby on her chest. I’ll be honest; when I pull out my wide-angle lens in the house it sometimes scares me when I realize how much of the mess I can actually see in the frame. But, I have learned to embrace the mess and capture the whole story. Or I just push the clutter behind me while shooting in that room. A wide-angle lens (35mm or smaller) is usually better in smaller homes. I absolutely love my longer-range prime lenses, but they don’t always work in all the rooms in my house. I absolutely love when you can see everything going on around the subject in the frame. In my house it is usually a very curious dog. 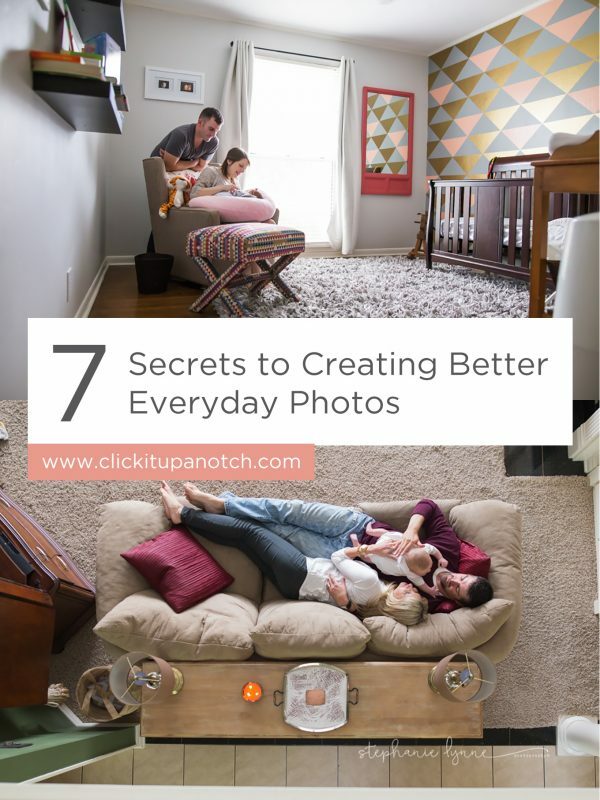 This is one of my favorite ways to capture those everyday images. Whether it’s for a client or my own family I love capturing the emotion and love the family shares. These moments and memories are the frames that will mean the most to us in the future. Take advantage of this simple tool. By adjusting your aperture and deciding how much of the background you would like in focus with your subject it can change the feel of your photo. As mentioned above, my house isn’t always clean and I usually like to blur out the background as much as possible while still having sharp focus of my subject. By shooting wide open (the lowest aperture your lens allows) I am able to have a shallow depth of field and blur out the background while still keeping focus on my subject. 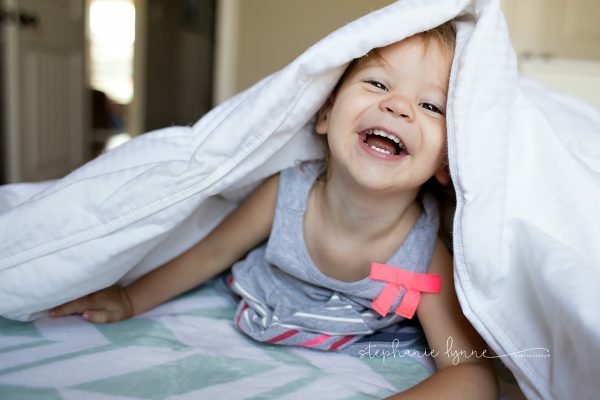 Stephanie is a business woman, turned military wife and mom, turned professional photographer. 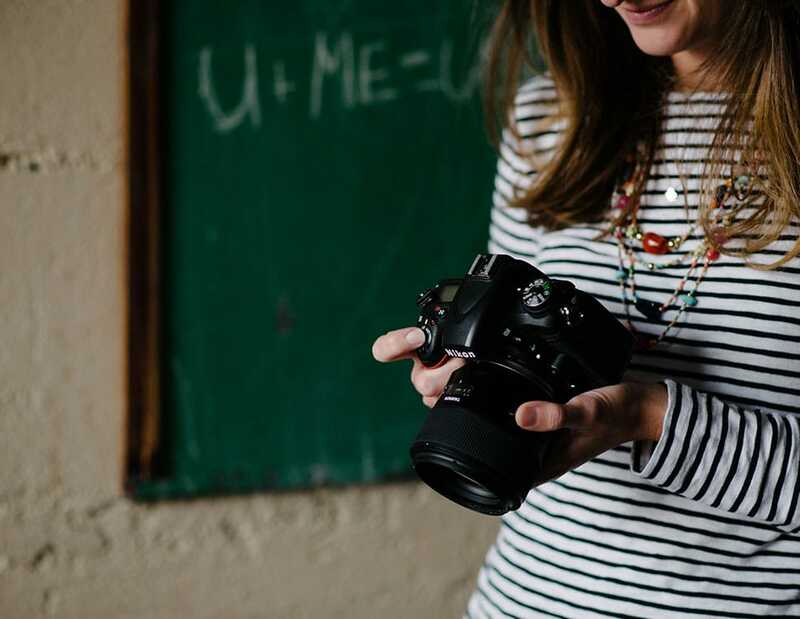 Her photography journey started out as a hobby and quickly turned into a passion for lifestyle photography and capturing beautiful memories for others. 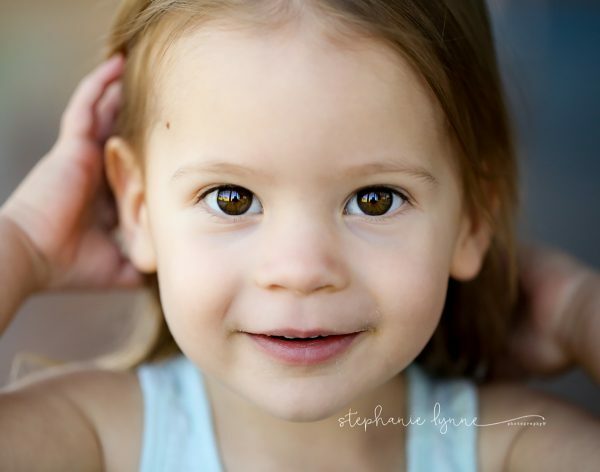 She currently resides in Colorado Springs, CO with her family and specializes in Family, Birth and Newborn photography. Appreciate the very useful tips – thank you! I love what you said about taking a taking a photo from above. Some of my best photos are me climbing furniture to capture my kids from on high! Would you mind going into a little more detail about using the depth of field please? Beautiful photos! I so need to get a 35mm. My closest is a 50mm and the houses here in Latin America are so small that I have to crouch in corners to get sweet wide shots. I found your tips helpful. Could you recommend what lens would be useful on a crop sensor camera? Thanks for your tips, it was so help me to Advance my photography skill. Can you help me, where I can get best tutorial to leverage my DLSR D3200? Because I’ve bought it 2 years ago but all this time I’ve not feel satisfied for my result pictures. I will appreciate for your help and support.